1.) Keep a journal and put everything you can think of in it. You never know when an idea from today will sprout into something very cool down the road. If “journal” doesn’t float your boat, rename it. I’ve met one writer who calls hers the “Thunder Book” because things in it go “BOOM”, and another who named hers “Cletus” because it makes her giggle every time she says “Time to feed Cletus today”. 2.) Learn to laugh at yourself. I don’t think there is a writer on the planet who gets everything right the first time. When you’re revising your work and catch mistakes, learn from it, laugh about it, and keep going. 3.) Keep track of how you spend every minute of time for a week and look for “Time Stealers”. There are a lot of things like social media, video games, TV, etc. that absorb time, and I’ve found the best way around it is to tell myself that there’ll be time for that later. You will be amazed at what you can accomplish in a very short amount of time with a minimum of 20 or 30 minutes dedicated to your writing every day. 4.) Read A LOT! 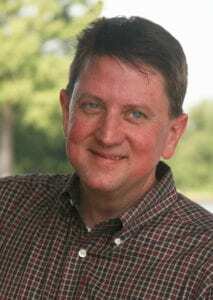 It’s fun and opens new worlds, and through it you can learn different writing styles that help improve yours. I would suggest getting to know librarians and letting them know what types of books interest you. I’ve found them to be some of the most helpful people I’ve ever met. 5.) Write about what you are interested in because through your book you will meet people who share those interests. 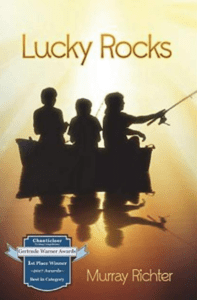 Personally I’ve come to know some of the greatest groups of people who enjoy fishing, etc., that I never would have met had they not contacted me after reading my book, “Lucky Rocks”. Learn more about Murray Richter by visiting his website or to learn more about our writing competition he’s judging, the Explore Horizons Writers’ Awards, click here.